If you’re still scratching your head wondering “how do they do it” I want to break down how bloggers really get to the money, specially six-figure bloggers, in the hopes that some of that “magic” will rub off on you. These lessons are the culmination of the knowledge I have gained building my own biz and being able to mastermind and collab with some of the baddest bloggers in the game. 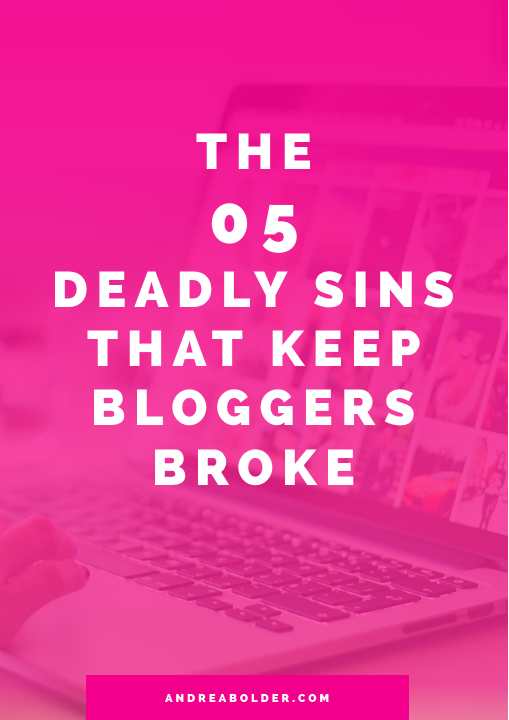 So, I want to walk you through 5 of the most deadly sins bloggers make that keep them broke. I’ve made just about all of these mistakes myself over the course of my journey but if you can know what to avoid, you can find yourself moving on up towards becoming a six-figure blogger. Where are you trying to go with your blog? Successful blogs are not built off of just hopes and dreams, they are built off of clear direction and a solid plan. When you know where you’re going you can pack for the ride, right? Well, it was only when I started planning with intent, that the money started to come in. What content should I be creating? What should my blog design look like? Who should I be collaborating with? When should I be launching products? Knowing where you’re going makes these questions no brainers. I wanted to make six-figures from my blogs. I wanted that income to be automated aka as close to 100% passive as possible. Once you know what you want, the who, what, where and how become clear. This is why direction matters and the major difference between the 99% of the bloggers who stay broke and the 1% that breaks through! Yes, some people get lucky and turn their hobby blogs into cash cows, but it’s the exception and not the norm. Every piece of content you create should be created with a purpose. When I first started blogging I would literally open up my computer, log in to my WordPress dashboard, create a new post and start writing. No planning, no prep, no purpose. Whatever popped into my mind, is what I wrote. And this is why most of my first posts performed so poorly. Yeah, some brought lots of visitors, most didn’t, but it was like I was writing for nothing because no one was buying what I was selling! I wrote articles on motivation, money, marketing, and everything in between and when you have no rhyme or reason, you have no real results! Why? Because, your content needs to serve your perfect fit fans. If your content attracts people but doesn’t keep them on your site…you’ll stay broke. If your content looks cute but doesn’t solve a real problem…you’ll stay broke. In the beginning, most of my readers looked at my posts and said “oh, that’s cute,” but never visited again! Now, every single one of my posts is focused not just on attracting my perfect fit fan but helping them solve their problems. Period. So always remember, no purpose. No post! If you want to make money, you have to have something to sell. Ads and sponsored posts, my friend are not going to cut it! There are only two ways bloggers are making six figures these days. And if you think about all the profitable blogs you love, you’ll know I’m right. If you want to add ads and sponsored posts as a side source of income, that’s fine, but do it after you have built up your own self-sustaining income stream. I’ll expand on these in a separate blog post in but there it is…this sin is pretty simple – so, moving on! If I wanted a job, I would have stayed in the cushy corporate one I had. But I didn’t want a job, I wanted a business. One of the biggest mistakes bloggers make is giving themselves a job. And a stressful one at that. They spend countless hours planning product launches, webinars, marketing campaigns, and all sorts of monthly to-dos in order to hit their goals. And I get it…this used to be me. In fact, I used to make up stuff to do, just so I’d feel busy! But a year and half ago I made a conscious effort to leave the “hustle hard” mentality behind and focus on “hustle smart”. You see, when you have systems in place, regardless of if your hands are on your business or not, you can expect to generate purely passive profits month after month after month! Now, let me keep it all the way real. I do work. And I work hard. But, that is mainly because I love what I do, I enjoy helping people, and because I use my blog as a creative outlet – many of the things I could (should) outsource, I do myself because I enjoy it. My point here is that you want to make sure you are building an automated business that enhances your life, not runs you into the ground. Blogging is not some get rich quick type of business. It takes time, it takes the willingness to pivot (sometimes quickly) and it takes lots and lots of patience. What most bloggers don’t get is that there is a process to making sales. When I first met my husband, he couldn’t say, let’s get married and have babies on the third date. Because that boy didn’t know me. He didn’t trust me. He didn’t love me. He didn’t fully grasp everything that I could possibly offer him as a friend, a wife, a mom…so he couldn’t make that type of commitment even if he wanted to. And the same applies to your biz. It takes time before people can grow to trust, love and know you in a way that makes them feel comfortable enough to want to go all in! It’s ALL about relationships. If you skip steps, take short cuts, don’t pull your weight, try to get to 4th base too soon, your customers are going to dump you. So, don’t force it, let it flow and that way, everyone gets to have fun! Need to get your blog in money-making mode? 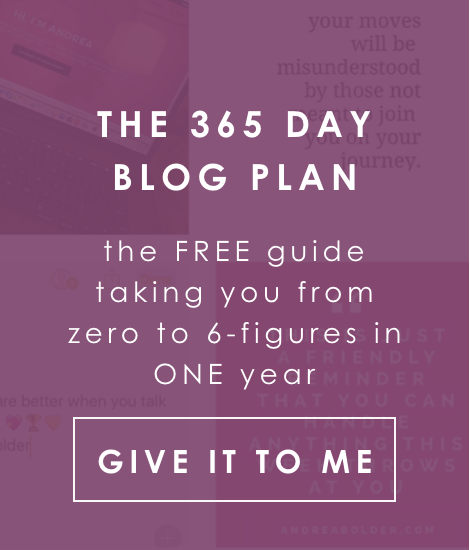 Click here to get instant access to my 365 Day Blog Plan where you get 12 monthly calendar sheets full of daily action steps that will take your blog from ZERO to 6-figures in 1 year! 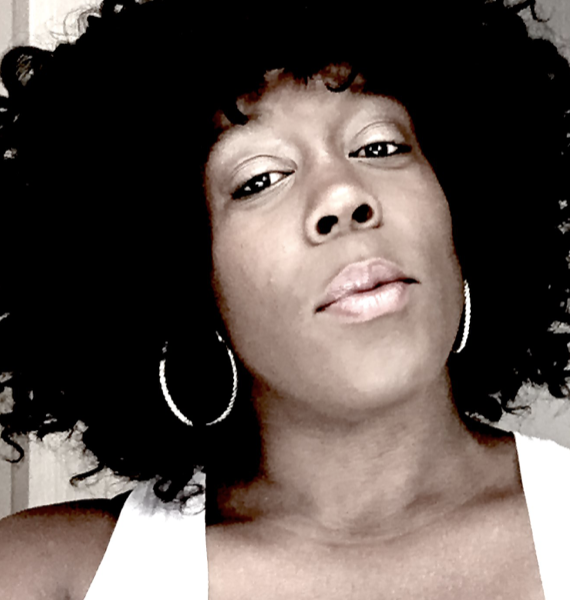 GOT QUESTIONS ABOUT TAKING YOUR BLOG TO 6-FIGURES? SOUND OFF IN THE COMMENTS! Always grateful for any advice! Thanks for this great piece! Thank you for a well-written testimonial. It is so hard not to want to see the fruits of your labor right away. I’m not stopping though. I loved this post it got me feeling motivated – that I am not alone in my new journey here ! Useful information that look to applying. Thank you!